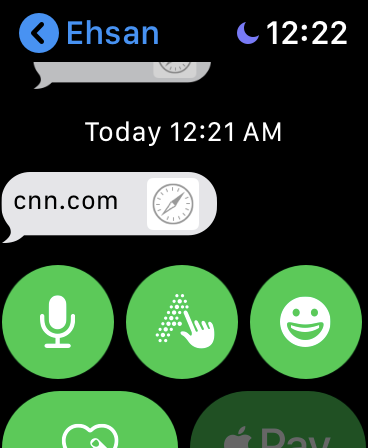 In August of 2017, I tried using an Apple Watch 2 as my only communication device for a week. I left my iPhone at home and only used the watch while out. In October of 2018, I tried doing this again but using an LTE enabled Apple Watch 4 for a month. After a month, I was happy enough that I will continue doing so during weekdays going forward. 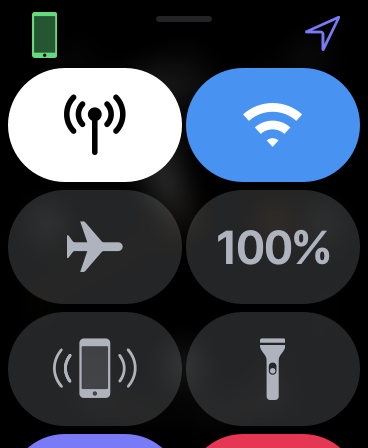 Apple Watch 4 + LTE is a very capable combination that was enough to address my weekday needs. In Watch 3 and now 4, Apple has addressed precisely the limitation that had stopped Apple Watch 2 from being a standalone device.Beyond the obvious freedom from requiring a WiFi connection, table below summarizes changes so far. Green tick (✅) means feature works even with phone off. I should note that some of the changes are probably in WatchOS, and may be currently present in Watch 2 and 3. 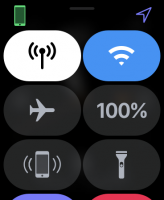 I recorded some of the updates to WatchOS in my original post. This was a new Apple Watch 4 with LTE service from AT&T. My iPhone 7 (which I specifically bought for this experiment) was left at home during weekdays. It was turned on and connected to the internet, so it could relay text messages, mail, and notifications. In the early days I had my work Android phone with me, just in case. But in reality I did not use that phone much. It should be noted that I spend most of my work hours in front of or near a computer. The watch now supports HFP (Hands Free Profile). So you can take phone calls easier without having to use the tiny speaker. I had long phone calls with Airpods+Apple Watch without any problems! 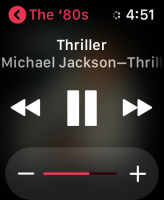 This change might have been introduced in Apple Watch 3. Apple Watches also now have a much better processor, which makes daily use a more reliable experience. Things like Apple Music and Apple Maps run smoothly, which will be a good vehicle for people like me to migrate to these services. If you are familiar with cellular modems, you know they use significant battery power for transmissions. 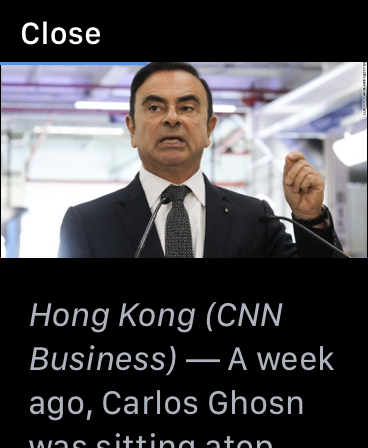 It is reasonable, since they have to “talk” with towers which are usually about a mile away. For WiFi, the Access Point is just few feet away. I loved the battery life for Apple Watch 2, and Apple Watch 4 has made the battery last much longer. When not using cellular or WiFi, i.e. when phone is nearby, it can last almost two days. With my case case, it would easily last one full day. The closest I was to an empty battery was one day that I streamed music most of the day on my Airpods. And still with that, I got home around 9PM with 10% battery remaining. It was a nice surprise realizing I can still “almost” use apps such as WhatsApp, Hangouts, Telegram, and Signal who do not have a “standalone” Watch App. When a new notification came, I could see it and reply using narration, dictation, emojis, or the suggested texts. Once again being near a laptop would give me complete coverage. If some message needed longer answers or for example it contained videos, I could just open it on my laptop. 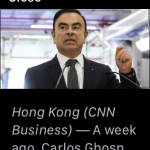 Some apps, such as Redfin, even pushed photos inside notification. 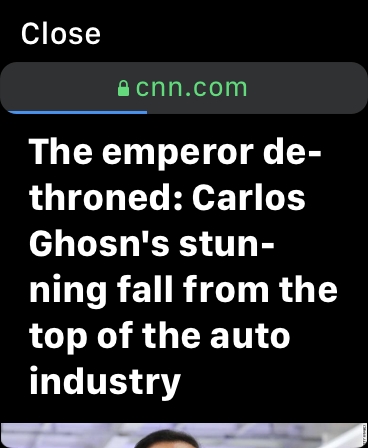 The notification and photos would show on the Apple watch while the phone was at home, turned on and connected to the internet. I could read Persian (Farsi) text in all apps! Unfortunately there is no Persian support for narrating text, but I am not too worried about that. Mail app now works remotely, when iPhone is turned on and connected to the internet at home. I could view a tiny version of my emails, even when the iPhone was left at home. It cannot show the entire contents, but it gets the basics done. I was most impressed when an Email contained a barcode, and it was shown correctly on the watch. I could also reply to emails or compose new ones. The messages still are relayed through the iPhone, but it doesn’t have to be next to you. Facebook Messenger client also worked remotely. Even when iPhone was turned off! I put its usability to test when I planned a get together with some friends only using the Watch. This is amazing, and someone in Facebook deserves credit. This shows either (a) Apple has made it simple for developers to make completely standalone Watch native apps, or (b) Facebook is seeing the potential of the Watch as a replacement (occasionally) for the phone, or (c) both! In 2017 I had complained about lack of this feature, and I am glad it’s there now! 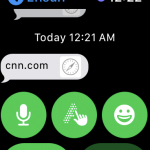 If someone sends you a link, you can get a very basic view of it in a tiny browser in your Apple Watch. You cannot initiate browsing though, and it’s so basic that many pages will not render on it. Still, I think this is a great feature. Update: I did some more digging, ran HTML5 and Acid tests on the browser, and you can see the screenshots in the gallery below. It is far more capable than I initially thought, and can render normally if you Force Touch a webpage and disable the “Reader” mode. The HTML5 result is here (local copy here). Podcasts worked flawlessly without the iPhone nearby, and without an Apple Music subscription. I think the Watch would offload the podcasts from the phone. You can also listen to live radio streams! 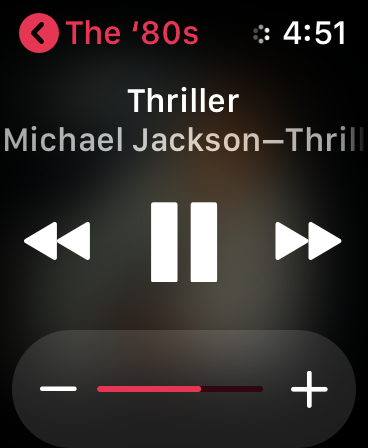 I got Apple Music subscriptions JUST so I could use the watch better. So worth it! It was truly streaming the content. I used Siri to load specific songs or albums, and it worked. Siri has work to do to be a reliable voice assistant. Right now it’s covering the basic features that I was asking for on the Watch. One of the many usages of my phone is for 2 Factor Authentication. I use Google Authenticator mostly, and that doesn’t have an Apple Watch app. However, most services also allow you to receive 2FA codes via SMS or email. And the SMS 2FA did work on the Watch. This is not a total win, 2FA over SMS is not as reliable as using the apps. But for the now, I will give it a pass. I hope Google Authenticator or an equivalent native Watch app from Apple fills this gap. No Traffic on The Watch? I asked for traffic to home. 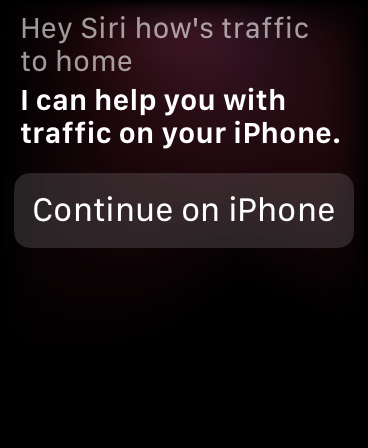 Siri said I need to use my phone. I am not sure if it was because Siri could not tell my location, or something more complex. I had a couple of mishaps with Siri. Since the Watch lack a keyboard, voice input is very important to its functionality. 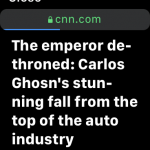 The examples I noted down: I tried setting a timer on watch using Siri. Got home and asked Siri on iPhone how much time is remaining, and it said there’s no timer. Then the watch timer fired! 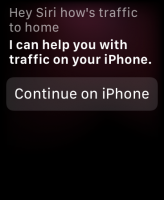 Another example: I had both watch and iPhone in car on a weekend. Was talking to watch to “call Hormoz”. iPhone overheard and prompted if I wanted it to call me Hormoz!! Meanwhile, the Watch was starting to call him. It was chaotic. Apple health can only be loaded on iPhone/iPad, not on MacBook. so I cannot use it for seeing my activity while at work. Cellular coverage is more volatile than the phone is. Understandable given the size and other limitations, but still something to consider. Only 2.4GHz WiFi! I understand they had to do with a combi WiFi/BT chip. But the push to switch to 5GHz will create issues for some users. Me and another Apple Watch owner could never get Walkie-Talkie feature to work. It got stuck in the invitation step. This entry was posted in Gadgets, iOS, wireless and tagged Apple, apple watch, cellular, wearable. Bookmark the permalink.